It is finally the beginning of fall. 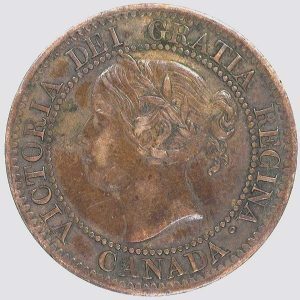 To celebrate the changing color of the leaves and them falling from the trees, we have an 1859 Canadian Large Cent. 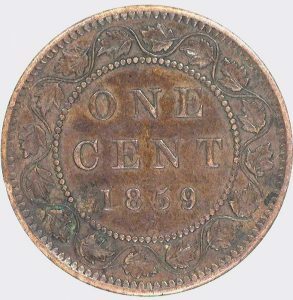 Just like leaves come in all varieties so does the 1859 Large cent. 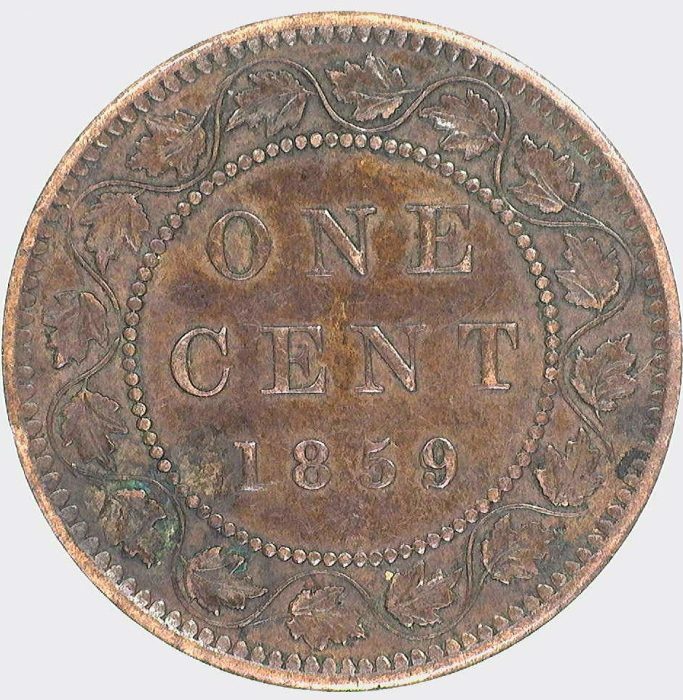 It has been called the “King of Canadian Varieties” with its almost endless amount of possible variations.This particular cent has the Canadian maple leaves encircling the “ONE CENT 1859” in the center on the Obverse side. It is a Double Punched 9 die #2 VF.